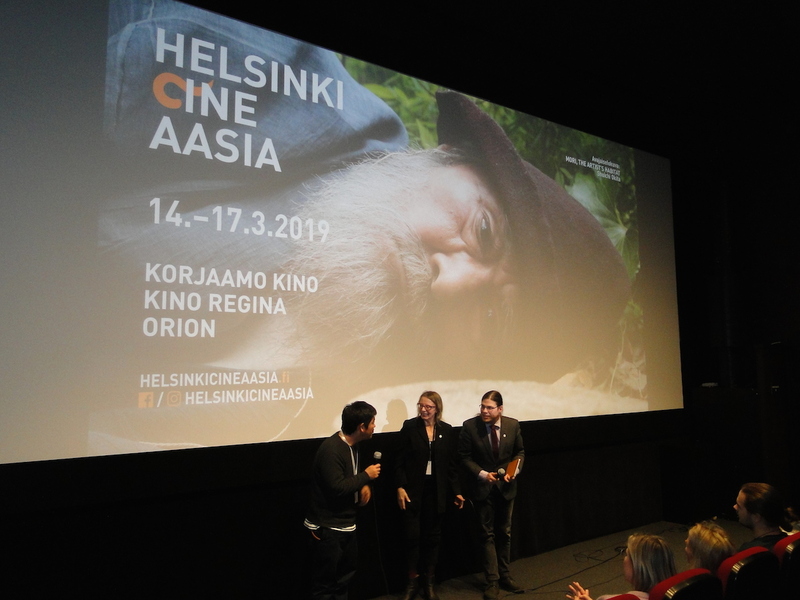 The only festival of contemporary Asian cinema in Finland, Helsinki Cine Aasia, drew to a close on Sunday 17th March. This year, the festival attracted 2250 people in total – more than ever before. During the festival, 18 films from 11 East and Southeast Asian countries were shown in a total of 32 screenings. The most popular film at the festival was Masaaki Yuasa’s hallucinogenic animation Night Is Short, Walk on Girl. It and the warm-hearted drama Mori, The Artist’s Habitat by Shuichi Okita who also visited the festival, both sold out screenings. Bat-Amgalan Lkhagvajav and Ian Allardyce‘s charmingly sincere film They Sing Up On The Hill is included in the official programme of Helsinki Cine Aasia 2019. We spoke to Lkhagvajav about his sources of inspiration, his influences, and asked him for recommendations from the Helsinki Cine Aasia programme. What inspired you to make the film They Sing Up On The Hill? I have to mention first my friend, an English guy Ian Allardyce who is now based in the UK. Me and him, we have been friends for a long time and since 2003, and we have been making films together. Already then, we had the idea for this film but we did not know, how exactly we would make it so it got put on the shelf for all these years. Shuichi Okita’s warm-hearted drama, Mori, The Artist’s Habitat opened Helsinki Cine Aasia on Thursday 14th March. Shuichi Okita is also visiting Helsinki Cine Aasia. “Shuichi Okita’s original, sympathetic style makes people fall in love with his films. Time after time, Okita’s works have been among the most popular films also at Helsinki Cine Aasia,” said Eija Niskanen, the festival’s programming director. “We are very excited to have him as a guest of honour at this year’s festival,” Niskanen continued. 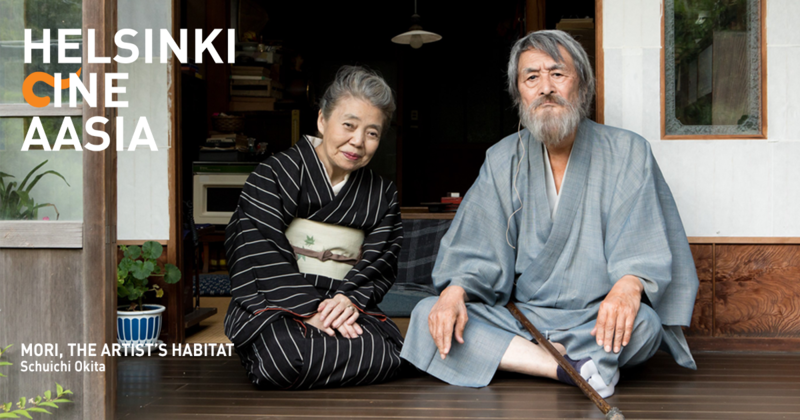 The one remaining screening of Mori, The Artist’s Habitat at Helsinki Cine Aasia 2019 is on Saturday 16th March at 3.45pm. Following the screening there is a Q&A with the director. One of the directors of the film They Sing Up On The Hill (2018), Mongolian Bat-Amgalan Lkhagvajav is Helsinki Cine Aasia’s guest of honour. The film that charms with its sincerity is focused on two young musicians’ encounter and the tenor of their lives in rapidly changing Mongolia. Bat-Amgalan Lkhagvajav directed the film together with the British filmmaker Ian Allardyce. The two have known each other since 2002 when they worked together on the first reality TV talent show in Mongolia. They Sing Up On The Hill is Lkhagvajav’s first full-length feature film. He has previously directed short films, including The Red Forest (2005), An Encounter in the Woods (2009) and The Wonderful Flight (2015). Films are inseparably connected to both the surrounding world and the tradition of filmmaking. Over the festival weekend, new perspectives to the films in the Helsinki Cine Aasia programme will be explored in discussions with leading experts in their fields. Situation of the Rohingya in South East Asia: Rohingya Muslims have been a target of a military crackdown in Myanmar. The situation has been described even as a genocide. Hundreds of thousands have fled to the neighbouring countries. Discussing the issue are Anu Tuukkanen from Amnesty International and Timo Kuronen from Siemenpuu Foundation. In Finnish. Sat 16.3. at 1.20pm, Korjaamo mezzanine. Following the screening of Manta Ray. Helsinki Cine Aasia 2019 programme is full of interesting premiers and thought-provoking and impassioned quality drama which can make choosing difficult. Here are the festival organisers’ picks of films that we don’t want to miss – and neither do you! Helsinki Cine Aasia´s programme is out! Starting on the 14th of March the festival presents a wide-range of high quality films from 11 countries. The opening film this year is Mori, The Artist’s Habitat (モリのいる場所, 2018) by the Japanese director Shuichi Okita. The film is based on the late artist Morikazu Kumagai, who remains highly valued in his home country. 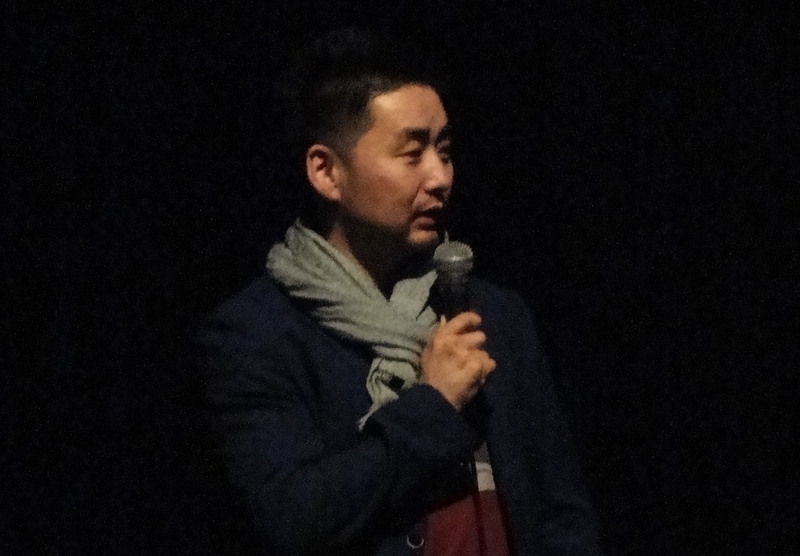 Shuichi Okita will also be visiting the festival and will attend the screenings of his film. Kino Regina and Helsinki Cine Aasia in cooperation present a seven-film retrospective from the Japanese director Naoko Ogigami between 20th February and 23rd March 2019. Ogigami, who is one of the best known contemporary Japanese film directors, will also be present at Kino Regina on Saturday 23rd of February where the entire day is dedicated to her films and related discussions. Some of the discussions will be led by Helsinki Cine Aasia programming director Eija Niskanen. 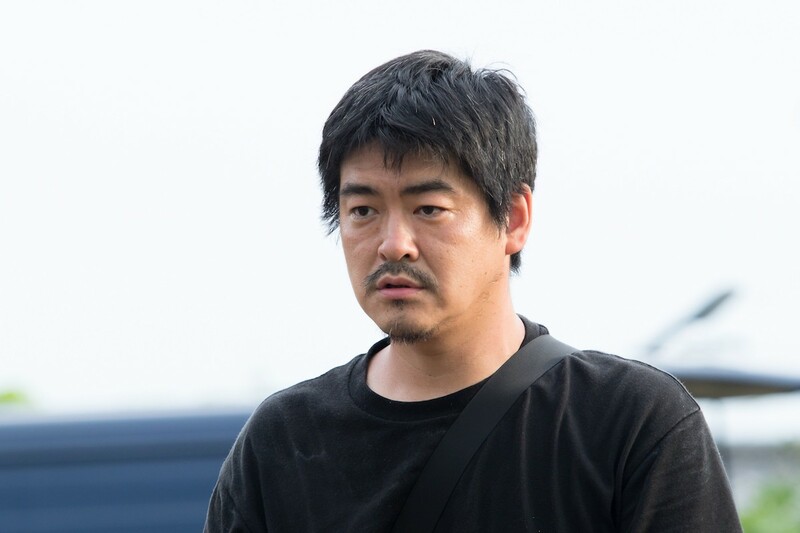 Helsinki Cine Aasia’s 2019 opening film is the warm-hearted drama, Mori, The Artist’s Habitat (モリのいる場所, 2018) by the Japanese director, Shuichi Okita. Shuichi Okita will also be visiting Helsinki Cine Aasia and be present in the screenings of his film. Shuichi Okita is known for his portrayals of ordinary, yet in their own way, special characters. This time, the subject under his observation is the highly-regarded, late artist Morikazu Kumagai on whom the main character in Mori, The Artist’s Habitat is based. Volunteer for Helsinki Cine Aasia 2019? 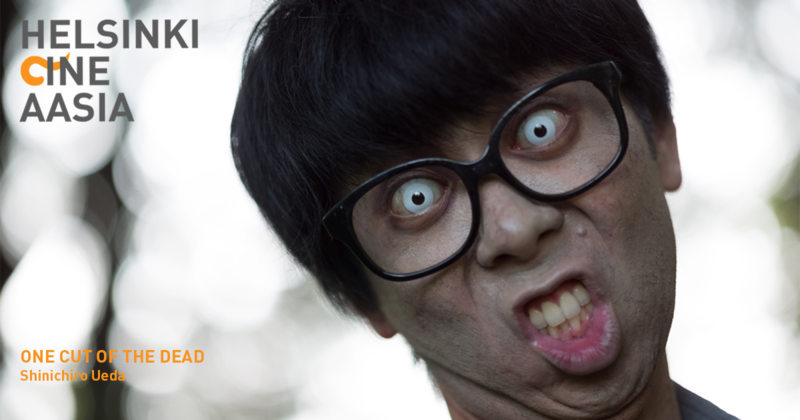 The seventh Helsinki Cine Aasia celebrates Asian cinema from 14th to 17th March 2019. We are currently looking for volunteers to help organize the festival. Volunteers’ tasks range from distribution of the festival poster to customer service. Some of the work takes place already in February before the festival starts. If you are interested in volunteering for us, please fill in the volunteer application form by 10th February so we will have time to consider it when forming the team. We are looking forward to hearing from both experienced festival volunteers as well as super-duper first-timers. 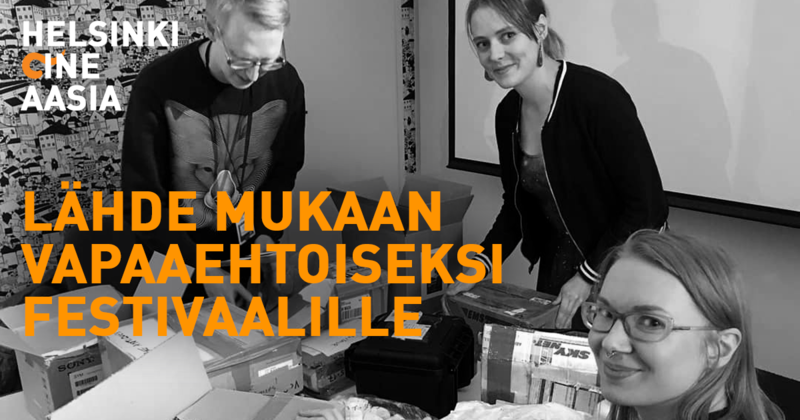 Read moreVolunteer for Helsinki Cine Aasia 2019? The seventh Helsinki Cine Aasia takes place from 14th to 17th March 2019! The only festival of contemporary Asian cinema in Finland, Helsinki Cine Aasia, will take place again from 14th to 17th March 2019. The festival offers the most talked about and the most viewed, the most sparkling and the most subtle films of the moment from East and Southeast Asia, and opens a window to current Asian film culture. 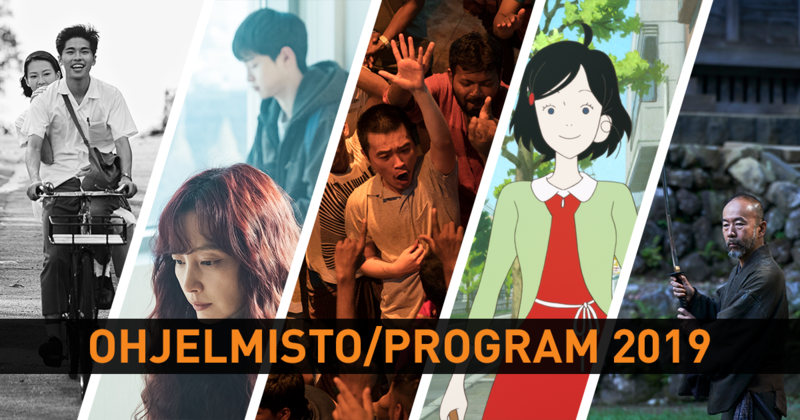 A varied and high-quality selection of films has been carefully chosen for the Helsinki Cine Aasia programme from the most important Asian film festivals and through direct contacts in Asia. Read moreThe seventh Helsinki Cine Aasia takes place from 14th to 17th March 2019! The only festival of contemporary Asian cinema in Finland, Helsinki Cine Aasia, drew to a close on Sunday. This year’s festival equalled its visitor record, drawing 1 800 film-goers in total. 23 films from 10 countries were shown at the four-day festival in a total of 34 screenings. One of the most popular films at the festival was The Seen and Unseen (Sekala Niskala, 2017) by Kamila Andini who also visited the festival. Japanese films The Third Murder (Sandome no satsujin, 2017), The Mohican Comes Home (Mohican kokyo ni kaeru, 2016) and We Make Antiques! (Uso happyaku, 2018) were also film-goers’ favourites. A total of 20 films premiered in Finland at the festival. Kamila Andini’s enchanting film The Seen and Unseen opened Helsinki Cine Aasia on Thursday 15th March. We spoke to the director about her sources of inspiration, influences and future plans, and asked her for recommendations from the Helsinki Cine Aasia programme. 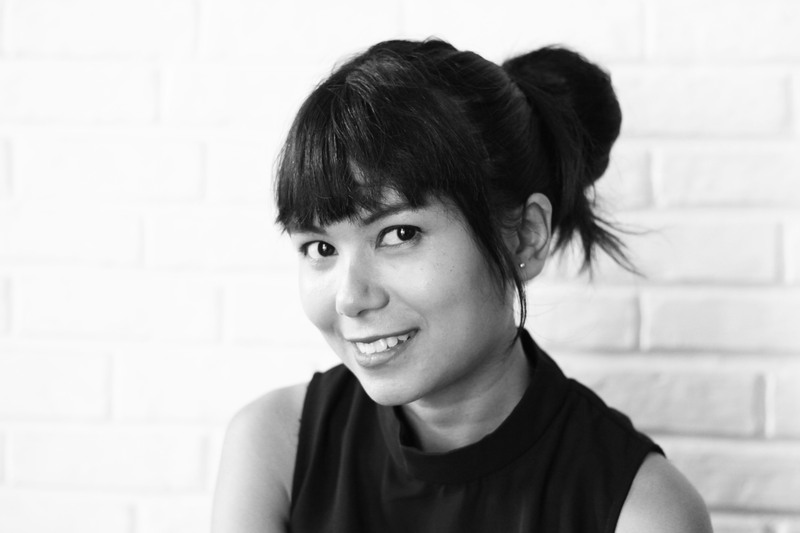 Andini is currently visiting the festival and will be attending the second screening of her film at Helsinki Cine Aasia on Saturday 17th March. After the screening, she will discuss film and film-making with Ulla Heikkilä from Women in Film and Television Finland. What inspired you to make The Seen and Unseen? I started working on The Seen and Unseen right after I had finished working on my first feature, The Mirror Never Lies. In my second film, I wanted to explore who I am as an Indonesian and how we are connected to each other and to the universe.